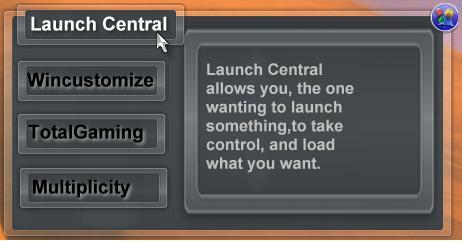 This is a prototype (and my first object)of a Self-Service application launcher. Mouseover buttons for description and launch. DX icon in upper right to minimize. I was amazed at how easy it was.